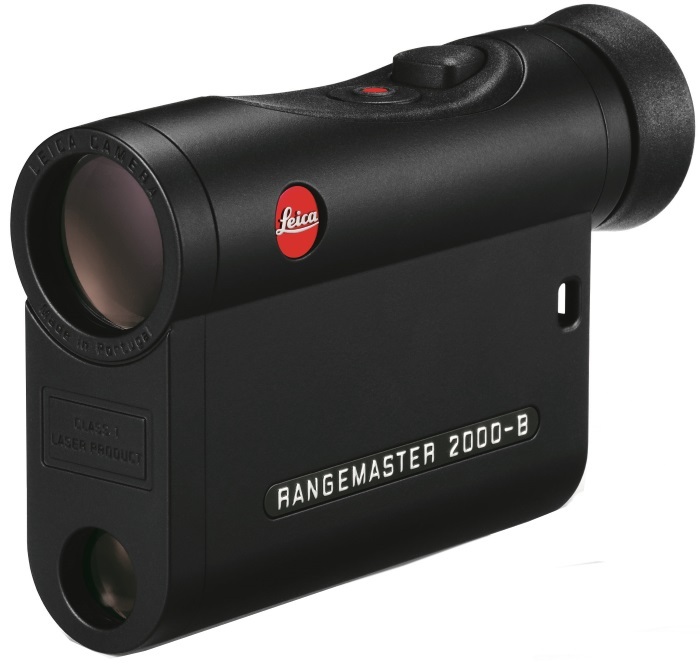 Leica Rangemaster CRF 2000-B Laser Rangefinder - Hunting and Outdoor Supplies. This Rangemaster determines distances of up to 1825 m (2000 yards) with the highest precision and calculates the corresponding ballistic curve. The newly developed ABC® ballistic programme integrates data for angle of incline, temperature, barometric pressure and ammunition type. The exact measurement result shows the precise individual parameters. Outstanding optics, with a magnification factor of 7x, ensure optimal image brightness and a wide field of view. The Leica Rangemaster CRF fits in any pocket and weighs only about 185g. Selection of distance units (metre/yard) is simple with the press of a button. 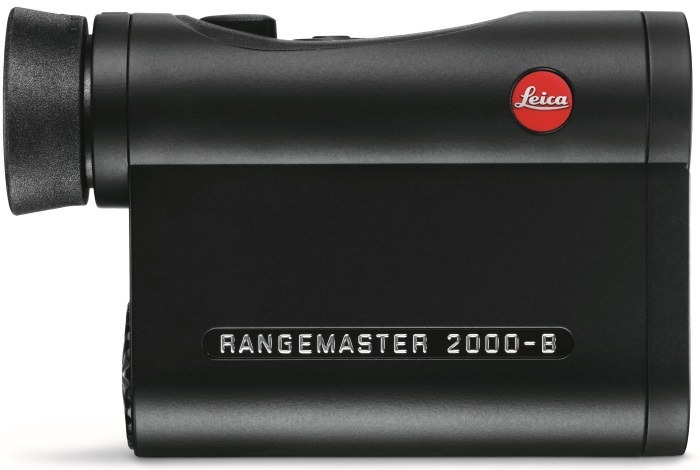 Leica CRF Rangemasters have been an essential aide for field sportsmen for many years now. They combine high-quality optics with durable mechanics and complex electronics in an extremely compact design. 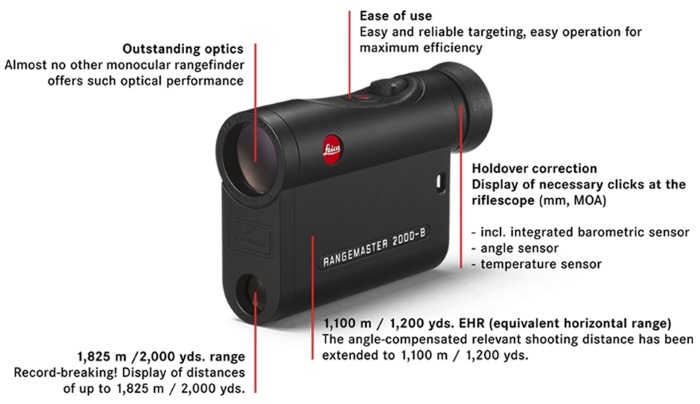 Like all other Leica Rangemaster rangefinders, they always meet precise parameter determination standards – anytime and anywhere. This way, they support every hunter and provide answers to of his essential questions. In a record-breaking time of 0.3 seconds, Rangemasters determine all the important parameters with maximum precision and ensure the necessary safety for accurate shots. 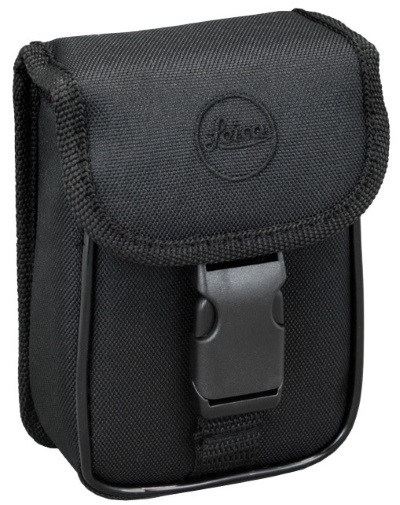 Thanks to their compact form, Leica rangefinders fit easily into any pocket.